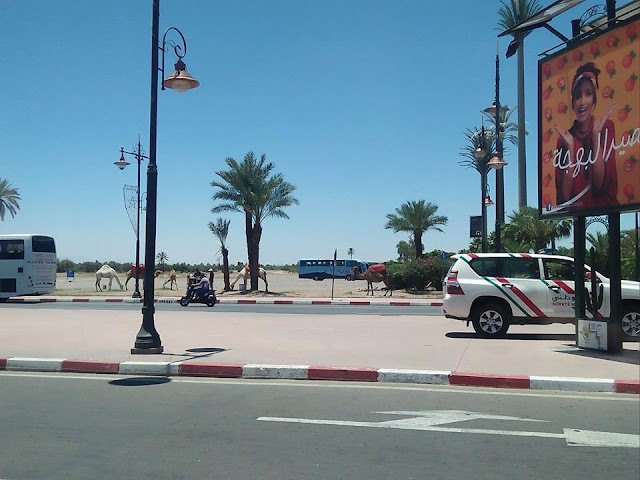 Marrakech, famous for lamb tagine and snake charming - is it possible to be vegetarian or vegan in Marrakech? Defo. I spent five days in Marrakech tracking down the best vegan Moroccan foods, trying out the best vegetarian and vegan restaurants in Marrakech and searching for a vegan riad in Marrakech. 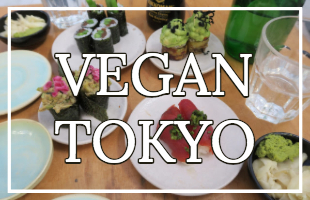 First things first, as a travelling vegan one of your biggest priorities will probably be to make sure your food is both authentic to that country and still vegan. Olives are really good in Marrakech and if you're an olive fiend like me you will die and go to heaven when you see the olive markets. The orange guy was nice, the banana/avocado guy less so. If you want to try buying fruit and veg at the markets (and I recommend you do, it's fun and authentic and the produce is lit), it's worth brushing up on your French numbers: most Moroccans I met who were working in hotels and restaurants or selling touristy things spoke English, but the market people tended not to and spoke French (and Arabic too of course). Whilst we're on fruit, all the fruit I had in Marrakech was absolutely delicious - the avocados were the best I've had all year. But, I did stick to fruit with skins only (melons, bananas, pineapples, oranges, avocados etc), because although the fruit without skins (cherries and peaches etc) looked and smelt to die for, you can't drink the tap water in Morocco, which means you should avoid fruit that needs washing if you want to avoid getting a bad tummy. One of the easiest ways to do this is to avoid fruits without skins and ice, but more on this in a moment. Mint and sugar are also insanely popular in Morocco, so be prepared to drink a lot of mint tea, which is of course accidentally vegan. Pretty much all riads will serve you with complimentary mint tea when you arrive, sometimes these will come with complimentary snacks, which are probably not vegan. Just ask, but then double check and ask again. And last but not least, DATES. Dates are a big deal in Marrakech, you'll find them as the main ingredient in lots of dishes and they sell them in big packs everywhere. Of course, they are also accidentally vegan. As for prices, the first guy offered me a giant pack for 50 MAD, I wasn't sure I wanted to spend $5 on dates so I passed, and then later another guy offered me the same pack for 16 MAD ($1.70). Bargain. Until it came to paying and he was like yo I said 60 MAD ($6) not 16 MAD... At this point, I was like whatever. Past me would have been like na thanks mate, but I was like meh I spent dollar getting to this country I'm not going to squabble over a few coins. And there were so. many. dates! Enough for two of us to be sick of dates after 5 days. Anyway, my advice to you is to know that an average box of dates is roughly 50 MAD (next time I'd offer 40). Inside the tagine is generally a meat stew - beef, chicken or lamb (pork isn't really a thing in Morocco thanks to Islam), but it's relatively easy to find a yummy vegetarian tagine, and if it's vegetarian it's vegan too (dairy isn't really a tagine thing). I found a vegetarian tagine at one restaurant, but more on that in a minute. Couscous is also super popular in Marrakech, actually, according to Wikipedia it's "the old national delicacy". 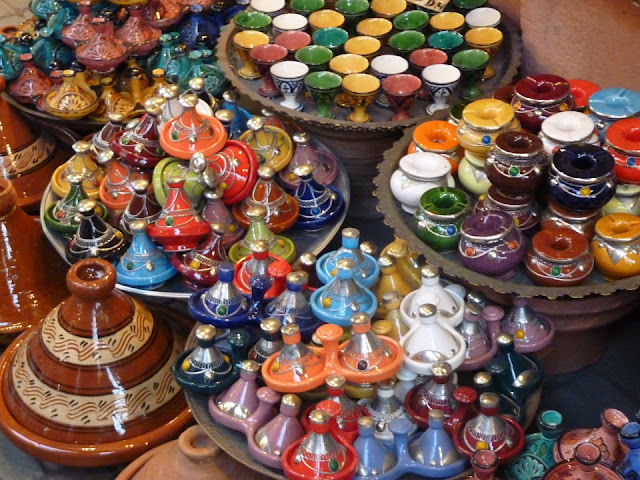 I think along with a tagine it's one of the must-try dishes of Marrakech. 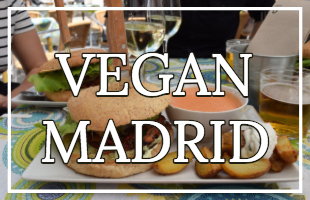 If you like an easy life whilst travelling, it's always best to check out the vegan restaurants rather than try and edit the non-vegan ones. It was absolutely incredible! The burgers were made out of potato and they were served on top of roast vegetables. The spices were all traditionally Moroccan and it was a really delicious, filling meal. I also tried the noodles, whilst this is less Moroccan it had a similar feel to the burgers - it had the same roast vegetables and the same spices. Aka also delicious. This was also 60MAD. The food was really delicious and we ended up eating there twice. This was partly because the guy that works there is super kind and lovely. He helped us find water one time when we were lost on the streets lol. Definitely eat here, you won't be disappointed. The only thing I didn't like about this place was that it's right on a 'main' road. And when I say main I mean super tiny and windy but constantly has motorbikes going past. It was great for people watching but not so great for the lungs. Earth Cafe Marrakech is similar to Green Vegetarian - in that they have their own vegan section on their menu, they use similar Moroccan spices and similar roast vegetables, and I dined there twice. I tried the filo pastries (70 MAD) which were very authentically Moroccan - filled with zucchini, prune, raisins and dates (SUPER Moroccan) with fresh herbs. It was filling and tasty. I also tried the Spring Rolls (70 MAD) - filled with pumpkin, spinach and balsamic. Although these are less 'authentically Moroccan' I actually preferred them to the pastries (less dry). They also have a vegan burger (70 MAD) that is pretty much the same as Green Vegetarians, aka dope, but not sure why it's 10 MAD more. The staff here are also really sweet and kind, and it's off the road inside a cute riad. It's actually remarkable well signed considering it's in Marrakech. Kui Zin was recommended on Happy Cow as a meat place that has vegan options, which is true. Although I was happy to try something so traditionally Moroccan, the end result was kind of disappointing. They were filling but bland. Something a few Moroccan spices could have easily solved. The waiter was super grumpy, no doubt because he was fasting for Ramadan and having to serve annoying vegans food. It doesn't bother me that he was grumpy, but I was a bit nervous that he hadn't understood/didn't care and was going to bring us meat. He didn't so it was cool. So yeah overall this was our least favourite place we ate at. Saying that this place was the only place that offered free bread and unlimited olives, making it the best bang for your buck. And the view was pretty cute. Falafel King wasn't even mentioned on Happy Cow, I'm not sure why because it was awesome. We stumbled on it because it's right next to Green Vegetarian - but it's actually behind it meaning you don't get the annoying road pollution from up there. The waiters are no way near as nice as the ones at Green Vegetarian though. Anyway, after five days of Moroccan spices, roast vegetables, fresh fruits and veg we were in the mood for something different. The guy at the door told me the falafel sandwich (50 MAD) comes with chips and I was sold. We have high standards for falafel, and it wasn't half bad! Wasn't the best falafel we've ever had, but defo nowhere near the worst either - probably Falafel Duke would be a better title. BUT, if I have high standards when it comes to falafel, it's nothing compared to the high standards for chips and so I was shocked to find that these chips were absolutely incredibly delicious!! You go Chip King. We went there a second time and on my way out I spotted some Brits making a decision about whether to go in or not. I told them that the falafel sandwich comes with chips and they were sold. Sometimes I love my people. I'm assuming if you're reading this post you're going to be avoiding meat anyway, but this might well be a great place to bring a loved one that's still into meat. Unlike in the UK and US the meat isn't hidden away / dressed up to not look like an animal, it's all there with bells in Marrakech - hooves, tongues, eyes etc. Pushing aside the fact that the meat still looks like the animal it once was to one side, the meat in Marrakech is gross. Think flies, flies and some more flies. It's a one-way ticket to toilet time. Don't let your meat-eating bud be fooled into thinking they're safe if they only eat the meat at the posher places, all meat in Marrakech comes from the same place - sat outside in the sun with the flies. And if eating meat-that's-been-outside-hanging-with-the-flies isn't enough to put off your omni bud, tell them this - I walked past a butchers and I'm no vet but the animal they were selling straight up wasn't a cow, goat, bird or lamb. It had a pretty ominous tail. (And it wasn't pork either, they don't really sell that). Jemaa El-Fnaa is one of the 'must see sights' in Marrakech, but maybe not for vegans. It's essentially a giant open square with lots of stalls and people selling things from juice to postcards. It's also the place where you'll find two super non-vegan things: snake charmers and monkeys on leads. Both with a human that wants to charge you for pictures (yes including sneak-photos you've not so sneakily tried to take). I have absolutely no judgments to these humans who to be fair are just trying to make a living. But to the white tourists from affluent countries who should know better, shame on you. Alternatively, or additionally, go to the roof of Cafe de France for the best views of it. Man, of all the things I wish I'd done before I became vegan (lol) camel riding is right at the top (even above trying oysters ha). 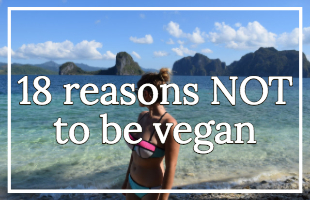 But camel riding is just an absolute no-no for vegans and anyone who cares about animals. Which is annoying as lots of dessert tours involve camel riding, and even if you don't ride the camels yourself, I feel like it's still not super vegan to support tours who are offering this. AND I've even heard about some tours insisting that you ride the camel's backs because you don't have time to walk. Meh. The tap water in Morocco isn't fit for drinking, note that includes making sure you don't use tap water on your toothbrush and refusing ice in restaurants. It's pretty annoying really because you have to buy lots of plastic water bottles (16 MAD), which are hard to recycle. You also can't flush toilet roll. I didn't stay at a vegan riad in Marrakech but I did stay at three riads that were vaguely vegan-friendly to varying degrees. "I don't eat eggs or dairy products"
"Sorry, I still don't eat eggs or dairy"
"do these have eggs in them?" Just because someone understands you don't want an egg, doesn't mean that they'll understand you don't want something that has egg in it. This isn't unique to Marrakech though, I've had this in Thailand, Japan, Hungary and even in English-speaking countries like the UK and the US - I've even done it myself when I first became vegan, it's easy to forget egg is in everything. In fact, I wrote a post about miscommunications and surprising things vegans can (and cannot) eat. So yeah, top tip: triple check everything. Riad Anayela was like stepping into a luxury oasis complete with a beautiful pool, an insanely humongous bath and rose petals EVERYWHERE. The breakfast (after they'd taken back the butter) was really delicious, imo. Fresh orange juice, perfect coffee, fresh fruits, granola, jams, oil and the best bread I ate in Marrakech. Extra points to them for using initiative and replacing the butter with oil. Literally bread and oil is my favourite thing ever so I was super happy. 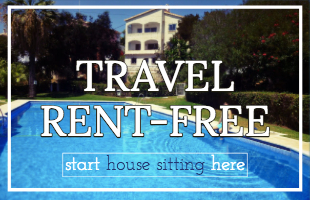 Even if you're a budget travel I highly recommend splashing out and staying at Riad Anayela, because the price you pay is more than worth it for what you get. 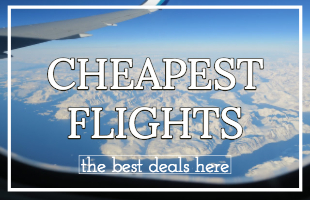 Literally, for the same price you can stay in an absolute hole in western Europe or Northern America, so treat yourself! Staying in a posh Riad in Marrakech is as authentic as it gets. Book here for prices from £150. Riad Star is another beautiful riad in a great location in Marrakech - walking distance to everything you want, including Green Vegetarian (less than 3 minutes walk). The breakfast (after they'd taken away the butter, yoghurt and pancakes) was also good, and they actually came back with vegan-friendly pancakes! This was the absolute highlight, and they also had fresh orange juice, fresh fruit, good coffee and jams. I was super into the pancakes. Whilst Riad Star isn't as posh as Riad Anayela, I really couldn't fault it and it would definitely still be a treat for budget travellers! This riad is definitely not on the same level as Riad Anayela or Riad Star, but for £15 per night, it's an absolute bargain. The breakfast came with fried eggs, yoghurt and butter (of course). I offered the eggs to the couple sat next to us "no thank you, we only ate ours because we didn't want to be rude" #lame. In the end, we had orange squash (ew), not so great coffee, okay bread and jam. So definitely not as great as the other two riads, but still enough to fill us up and hey, free breakfast is free breakfast. All in all, I loved my stay in Marrakech, it's the most beautiful country I've ever been to. Yes it's crazy, yes it can be difficult to travel to as a newbie traveller/someone with zero street smarts, but seriously, it's worth it. I had low expectations for vegan Moroccan food and was pleasantly surprised to find good vegan Moroccan restaurants and semi-vegan riads.